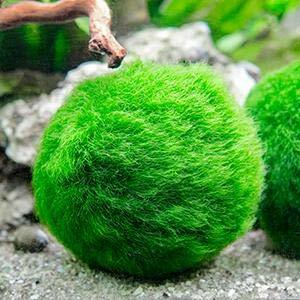 Marimo Moss Balls are without a doubt the easiest live aquarium plant. They require no special aquarium light, CO2 system, or aquarium plant fertilizer. 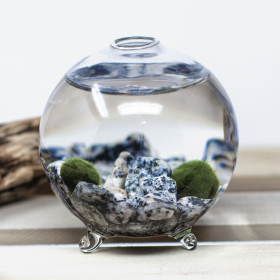 Marimo also remove nitrogen and phosphate from the aquarium, increasing water quality and removing algae by competing with algae for nutrients. They can be kept in nearly any freshwater aquarium that has a temperature of 78f or less, and are particularly useful in shrimp and snail tanks, as the shrimp and snails love grazing on them for biolfilm. 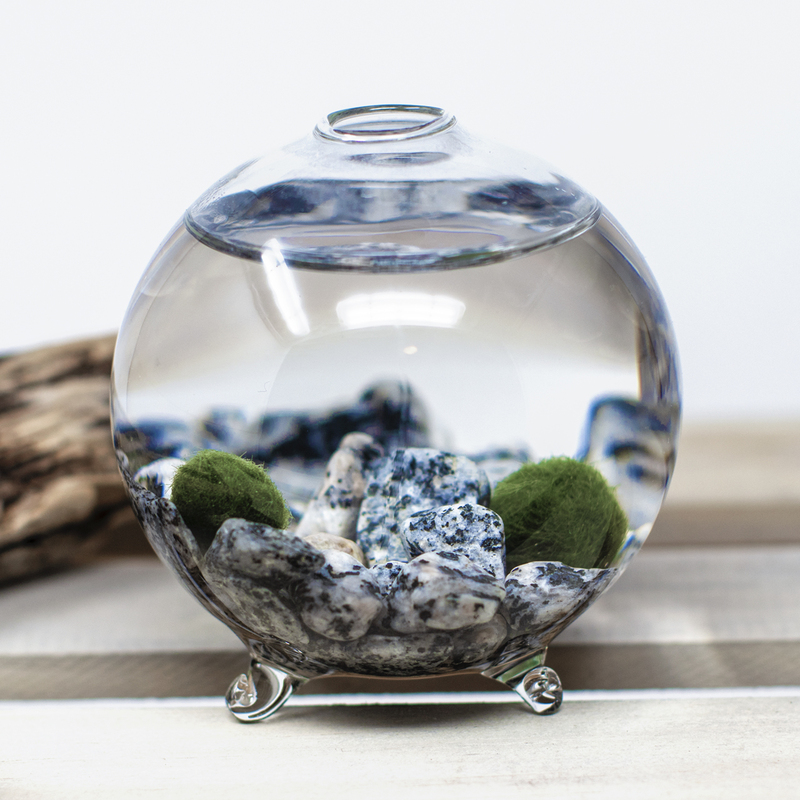 Their unique appearance makes them a centerpiece aquarium ornament in any small aquarium, and a wonderful addition to aquarium driftwood, aquarium rocks, and other natural decor of a large aquarium.